Whether it is replacing your old roof or a brand new roof installation, Grandchamp Roofing is your perfect choice. Removing existing shingles and disposing of them. 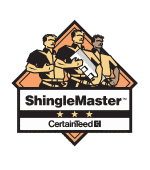 Apply the shingles – starting at the eaves and working up towards the top. Other things to be aware of are types of material used by the contractor, such as synthetic tar paper instead of traditional that will hold up to the Texas heat better, etc. Always check and know what kind of warranty is offered by the roofing contractor. Is it for material only? What is the labor warranty, if the contractor even offers one? 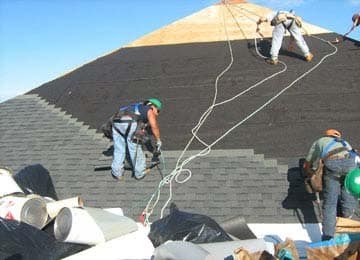 At Grandchamp Roofing, we our proud of our certifications and best in class warranties we provide. Ask us what separates us from the competition. We can help you make sure all your contractor bids are compared equally.